In April 2007, Loulou de la Falaise visited the School of Fashion. She spoke to fashion students, reviewed portfolios and sat front row at the Graduation Fashion Show and Awards Ceremony where she was honored with a Doctor of Humane Letters for her contribution to the world of art and design from Academy of Art University president Dr. Elisa Stephens. She gave students valuable advice on a panel discussion for the fashion students with Robin Givhan, fashion editor of The Washington Post, Titti Matteoni, editor-in-chief of Fashion magazine in Italy, Ceslie Armstrong, award-winning editor, TV host and editor-in-chief of ceslie.com, Elizabeth Varnell, style director of San Francisco magazine, Charlotte Lurot, director of Bacchus PR in London, and fashion designer Zac Posen. 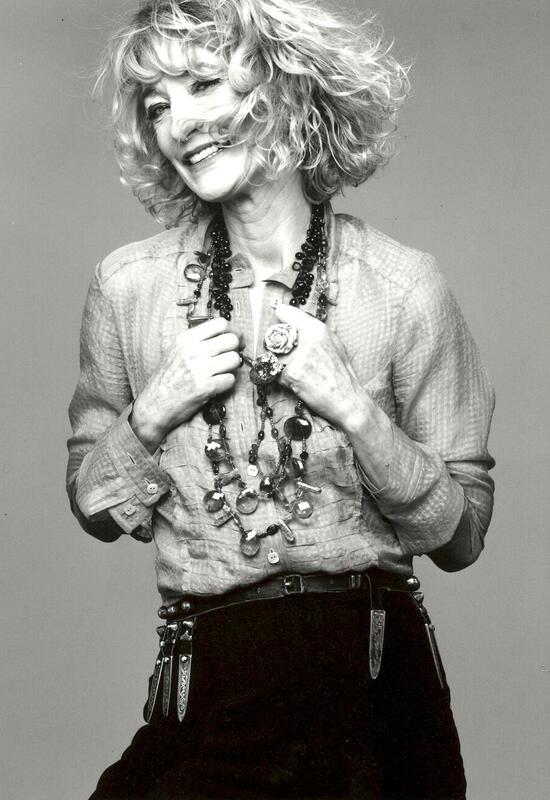 Loulou de la Falaise was a close friend, muse and designer of Yves Saint Laurent for nearly 30 years. She began as a model for Vogue, designed prints for Halston, and worked on Saint Laurent’s couture and RTW collections building her reputation as a designer. She was born into a highly aristocratic family that would predispose her to a life directed by fashion and art. She was considered one of the best-dressed women in the world. After a thirty-year partnership, Yves Saint Laurent retired and she began her own label in February 2003. Her boutique at 21 rue Cambon was a fanfare of color and rich materials, reflecting her passion for her flower-filled country garden and her travels to far-flung destinations. She created collections of jewelry, ready-to-wear, accessories and decorative objects for the home. Her collections were carried in boutiques and department stores in Tokyo, New York, Casablanca, Toronto, Hong Kong, Brussels, London, Berlin, Geneva, and Zurich. In California, her jewelry retailed at the home store of ‘At Home at Sweet Things’ in Tiburon. Rest in peace dear friend. You will be missed.